The pair has resumed the downside after leaving behind a tepid bullish attempt during early trade. 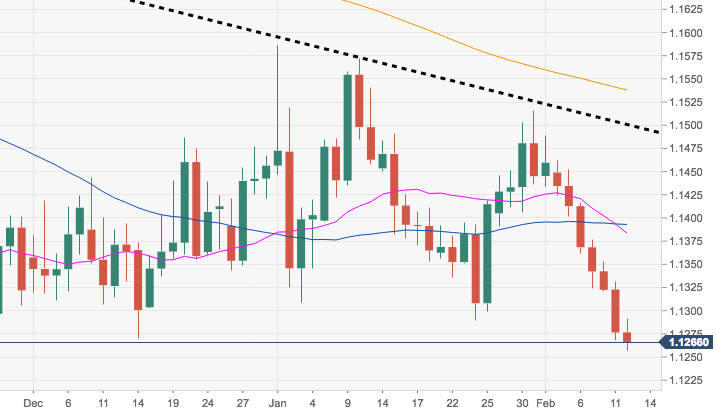 EUR/USD has quickly breached the previous low at 1.1289 and December 2018 low at 1.1269, extending the down move to the boundaries of 1.1240, new 2019 lows. Extra losses are expected to remain well on the cards for the time being, with the immediate target at 2018 lows in the 1.1220/15 band (November 12).